Gustin came into this offseason with enormous expectations, as one of the leaders of the team and one of its most talented members. However, the edge-rusher’s training camp was cut short by a meniscus tear three days in. Fortunately, Gustin’s injury doesn’t seem to be severe; coaches are optimistic that he could be ready to play by the opener against UNLV. In his absence, redshirt freshman Hunter Echols and redshirt junior Christian Rector have traded snaps at his spot with the first team. Look for both players, especially Echols, to spend time there if Gustin does miss games or has his workload managed. 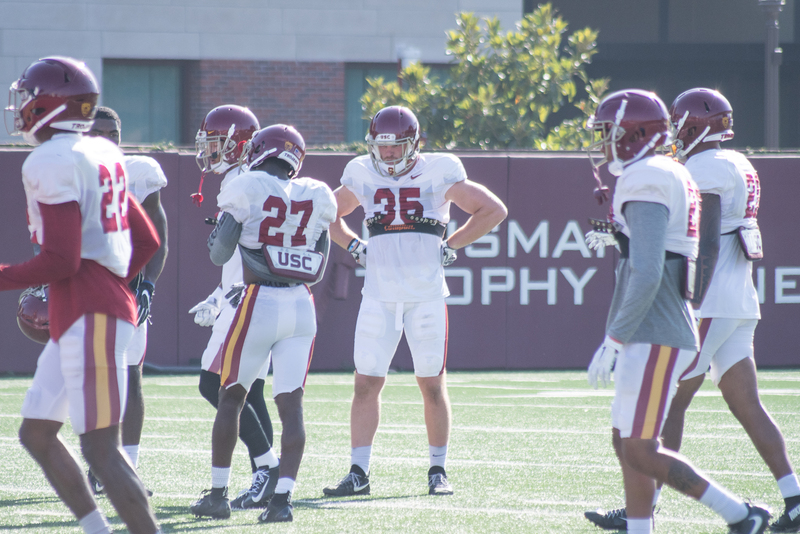 The two-time team leader in tackles missed a majority of training camp due to what head coach Clay Helton described as a strained hamstring. All indications point to the injury being relatively mild, with the coaches repeatedly stipulating that Smith has been held out more for precautionary reasons than anything else. He’s been doing some drill work over the last week, and should be in line to make a full return this week. 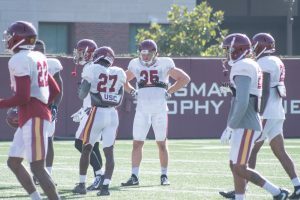 In Smith’s absence, junior Jordan Iosefa, the starter at outside linebacker opposite Porter Gustin, was moved into his “Mike” linebacker spot while freshman Kana’i Mauga assumed Iosefa’s position. At this point though, there’s no reason not to think Smith won’t be the one lining up in the center of the defense come Sept. 9. After a breakout second half of last season and a tremendous offseason, Pittman is expected to be paired with redshirt sophomore Tyler Vaughns as the team’s two starting outside receivers. However, an AC joint sprain has kept him out of practice for the last week and a half. 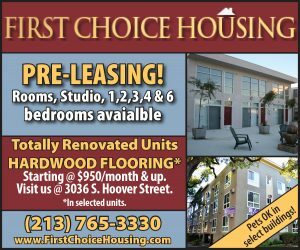 Redshirt sophomore Josh Imatorbhebhe filled in for him, until an ankle injury he suffered in the first scrimmage gave Amon-Ra St. Brown the opportunity to play there instead. Pittman should be a full-go at some point this week, and barring unforeseen complications, he should be starting Week 1 If his shoulder does continue to affect him, however, St. Brown has shown enough to warrant faith in him as a starting outside receiver. Bradley and Jackson have spent the whole offseason jockeying for the nod as the team’s starting left tackle, and it seemed like Jackson had earned the position before both players were left injured. Jackson has been held out with a rolled ankle while Bradley is dealing with a tweaked back. Both Jackson and Bradley should be healthy for the opener. In their absence, redshirt freshman Jalen McKenzie has taken the majority of snaps with the first team at left tackle. Ross was expected to compete for the starting strong safety position with sophomore Bubba Bolden before a hamstring issue knocked him out early in camp. His return timeline may be a bit more behind senior Cameron Smith, who suffered a similar injury on the same day. However, he should be ready by the season. In his absence, Bolden has performed well with the first team, and it’s unlikely that Ross will supplant him immediately after returning. He could find his way into a role as a preferred backup however, spelling Bolden at times and stepping up in the case of an injury.